Auntie Val’s Ltd., currently only employs people with special needs and disabilities and is proud that has been awarded the Two Ticks disability symbol. The CIC will take over the existing kitchens of Auntie Val’s Ltd., manufacturing preserves to continue its work. Auntie Val’s Kitchens Community Interest Company are looking for sponsorship to be able to offer great opportunities to many more people with severe difficulties. It is also looking to gain grant funding to help with specialist facilities, equipment and training to enable our people to be confident, self-assured and proud to be able to contribute to society. Auntie Val’s manufactures collections of Award Winning marmalade, jams, chutneys etc., the Downsman brand of preserves, as well as producing products for a growing number of other companies under their own label. 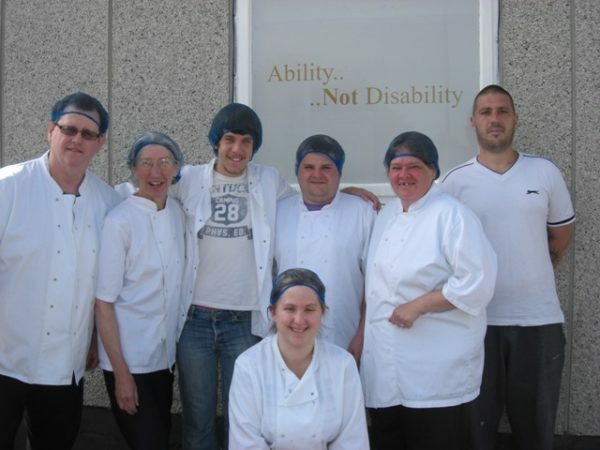 Auntie Val’s Kitchens, Community Interest Company works with professional partners ie. Job Centres, County Council, British Legion, Treloar School and College and others to provide work experience and training to as many people with difficulties as possible and giving opportunities to improve their lives. Auntie Val’s CIC is a not for profit company, all surplus revenue being reinvested to extend operations. However in order to achieve our aims the profit generated is not enough and we need to gain additional sponsorship and raise funds enabling us to employ more people. Auntie Val’s Kitchens Community Interest Company is providing a lasting commitment to providing these objectives for future generations. Golden Giving button below or via our Golden Giving page.